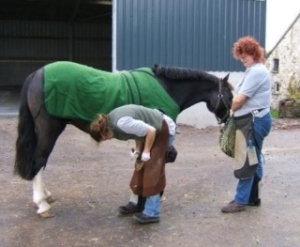 What is an Equine Podiatrist? Equine Podiatrists are highly trained specialists in shoeless hoofcare who work closely with owners to achieve the healthiest hooves possible for their horse. The approach is somewhat different to traditional farriery, educating owners so that they can understand how different factors influence the health of the hoof, helping to develop hoof-friendly horse management practices and providing close support and guidance as the horse’s hooves change.It has been proven many times that the horse has the innate ability to heal itself and EPs work hard to ensure that the maxim “do no harm” is followed. The hoofcare system is based on a very effective model which takes a complex structure (the equine foot) and breaks it down into a number of key parts that enable the EP to assess the health of your horses feet and recommend ways of improving that health. 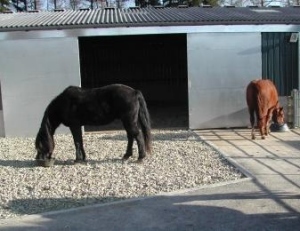 An EP’s most important tool is time, a tool which is utilised most effectively by the owner, who is expected to follow a personalised daily hoofcare routine which will improve the health of their horse’s hooves.Equine Podiatrists can also work with other equines such as donkeys and mules. They never use any kind of shoe that permanently fixes to the hoof. In the UK, only a registered farrier is allowed to shoe horses. Members of the Equine Podiatry Association (UK) are required to hold a relevant qualification, and prove that they update their skills every year through continuous professional development, ensuring high standards of professional competence are maintained. Articles on Equine Podiatry can be found here. Case studies can be found here.